I was born and raised in Göttingen, however, I am happy to call Leipzig my home for more than three years by now. For many years, it was my wish to study American Studies in Leipzig. From 7th grade on I took bilingual classes in school, which strengthened my wish to learn more about the US culture and language. Due to the circumstance of my father working in Atlanta, GA, for a couple of years by now, my curiosity for the United States grew and it was my desire getting the opportunity of studying in the US someday. In my leisure time, I enjoy doing sports, meeting my friends, and playing the cello, which helps me to relax when I have too many things on my mind and need to take a break from university and work. I am looking forward to my time at Ohio University and the following internship, to experience the American lifestyle and culture to its fullest. To say that I am looking forward for to my time abroad would be an understatement; I am grateful to have this chance of experiencing another culture, while working on my English skills as well as steadying my later career path. You can read more about Theresa's BA Plus experience on the BA Plus Blog. After graduating high school in Bremen where I was born and raised, I attended a language school program in New York City for three months. This deepened my interest in American culture and politics and left too many questions about a country that exercises a tremendous influence on the global political stage unanswered. To gain a better and more informed understanding of the United States, I started the American Studies program at Leipzig University. During my time here, I developed specific interests in international relations, foreign affairs, and conflict studies. At Ohio University, I am looking forward to further explore these fields of study, get an American perspective on global politics, and contribute with my European point of view to an informed debate. In my leisure time, I enjoy reading, cooking with friends, and photography. I would love to further explore the United States, doing roadtrips, going to National Parks, and marvel at the tremendous beauty that lies beyond shady diners and too much traffic. 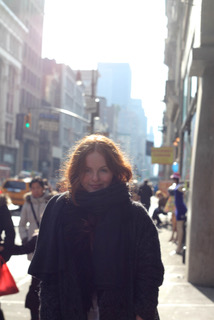 You can read more about Annika's BA Plus experience on the BA Plus Blog. I grew up in a small town in the South of Germany, where I graduated high school and then stayed for another year to volunteer in a school for children and teenagers with special needs. 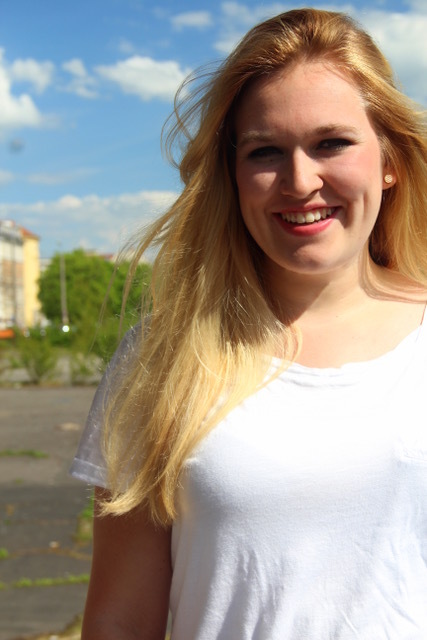 I moved to Leipzig three years ago, where I am pursuing a double degree in European History and American Studies. These majors offer the opportunity to engage with a broad variety of topics that reflect the broadness of my interests. I enjoy language and literature as well as getting to know different cultures and understanding these cultures through studying their history. The United States have been fascinating to me because of their complexity and internal contrariness, which will be exciting to experience myself. I am also looking forward to submerge into the life aside from the touristic locations I have visited so far and develop academically and personally through the upcoming challenges. You can read more about Lena's BA Plus experience on the BA Plus Blog. Born in Kobe, Japan, I moved to Germany with my parents at the turn of the millennium. In Hamburg I grew up besides the river, between the huge harbor with its shipyards and the vibrant heart of the windy city. After graduating from high school I spent a year doing volunteer work in a hospital, before I moved to Leipzig and enrolled at university. I got attracted by the U.S. and its culture at an early age, as I listened to records by A Tribe Called Quest, Curtis Mayfield or The Meters. My interest grew further when I learned about the country’s unique and controversial political system as well as its complex society. To further pursue my interest in the U.S., University of Leipzig’s American Studies program seemed like the best option to me. In my studies, I focus on U.S. society and politics, with an emphasis on foreign policy and security issues. Besides university I enjoy Leipzig’s parks, lakes, concerts, and its diverse electronic music scene. In addition, I like taking time to read American and German contemporary novels and short stories. With the BA Plus Program at Ohio University, I hope to enhance my knowledge about America and, just as important, get a first-hand look at the country by immersing myself in its society and college life. You can read more about Leo's BA Plus experience on the BA Plus Blog.